This portrait is one of two commissioned by a client in Ireland. 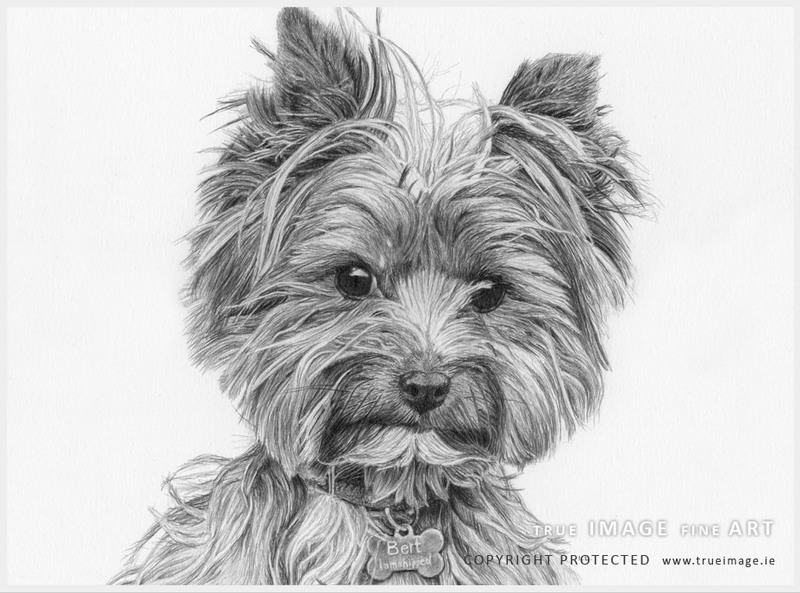 It is of a norwich terrier called Bert. The client commissioned this portrait together with that of Ernie for her sister's birthday. Both portraits were the same size 25 x 20cm (10" x 8") with graphite pencils on paper. The reference photographs were particularly clear and the client wanted to keep the dog's tag with his name in the portrait. 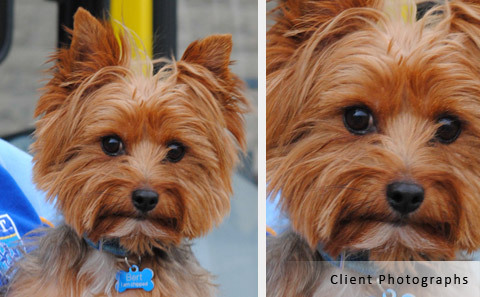 The client had a fantastic photograph of Bert as a reference. I had a lot of detail to go by and this makes the portrait so much easier to work on. It was a pleasure especially as Bert is such a cute character too. The tag was a nice touch of subtly adding Bert's name into the drawing. The portrait turned out really well and the client's sister was very happy with the result. Read client feedback below. thanks so much, they arrived safely. My sister absolutely loves the two drawings! You are so talented." © 2009 - 2019 True Image Fine Art. All rights reserved. Pet and Family Portraits in acrylic and graphite pencil.